Because I travel fairly often, I’m trying to make my Mac’s important documents available to me regardless of where I am. And I think I’ve settled on Dropbox being the way to do that. The problem is that I often forget to save these files to my Dropbox folder. 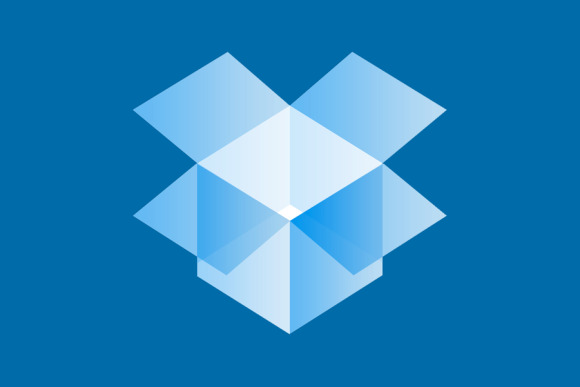 Can you suggest any ways to make saving files to Dropbox easier? I’d be happy to. Let’s start with files from the Finder. Launch Automator and in the workflow template chooser that appears select Service and click Choose. Configure the top of the workflow to read Service receives no input in any application. From Automator’s Library pane choose Files & Folders and then drag the Get Selected Finder Items and Copy Finder Items actions into the workflow area. Open your Dropbox folder (found, by default, in your user folder), and create a folder for your important files (Important Files, seems like an appropriate name). Drag this folder to the Copy Finder Items action. Now choose File > Save, name the workflow something like Copy To Dropbox, and click the Save button. Lauch System Preferences, select the Keyboard preference, click the Keyboard Shortcuts tab, select the Services entry in the left side of the window, and scroll down the list to the right until you locate the Copy to Dropbox service you created. Click on the Add Shortcut button and press a keyboard shortcut that you’d like to use to trigger the service. Now, when you want to copy files to your Dropbox folder, just select them in the Finder and press this keyboard shortcut. That’s convenient when you want to move files after you’ve saved them, but what about saving files to such a Dropbox folder directly from within an application? Here's how. Within the Finder drag your Important Files folder into a Finder window’s sidebar so that it appears under the Favorites heading. Launch an application, create a new document, and save it. 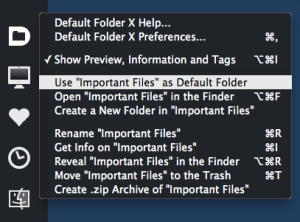 Within the Save sheet that appears, click on the Where pop-up menu and select your Important Files folder (which appears under Favorites) in the resulting menu. Your file will be saved and synced with Dropbox. If there’s a small fly in this ointment it’s that any time you save a new file you have to click on that Where menu and navigate to your Important Files folder as you can’t choose it as a default save location nor assign a keyboard shortcut to it so that you can move to it quickly. Of course that can be addressed with the correct utility. And that utility is St. Clair Software’s $35 Default Folder X. Using Default Folder you can assign a hotkey to a particular folder and easily navigate to it by pressing that key combination while in a Save or Open sheet. You can also set any folder you like as an application’s default save location.